Bill Clutter has investigated over 20 capital cases at the trial and post-conviction level. A licensed private investigator with over 20 years experience in criminal defense investigations, Bill Clutter is a Board Certified Criminal Defense Investigator with the national Criminal Defense Investigation Training Council. Bill’s work in the capital cases of Rolando Cruz and Alejandro Hernandez contributed to their exoneration in 1995, featured in the book "Victims of Justice"by Tom Frisbie and Randy Garrett. Their cases were cited by Gov. Ryan in his order for a moratorium on capital punishment. Bill’s post-conviction investigation in the case of Randy Steidl was cited by a federal judge as evidence that trial counsel failed to adequately investigate the case. The Court ruled that evidence discovered after the conviction would have led to jury acquittal. The story was featured on CBS 48 Hours "Murder in Paris. "In May 2004, Steidl was released from prison after 17 years, most of it spent on death row. Bill has had the unique experience of being involved in two of the 15 death row exoneration cases in Illinois. His investigation as Director of Investigations at the Downstate Investigating Innocence helped prove the innocence of Julie Rea Harper, convicted in March of 2002 of killing her 10-year old son, Joel. His investigation corroborated the confession of child serial killer Tommy Lynn Sells, convincing Texas Ranger John Allen that Sells committed the crime. Rea-Harper was acquitted in a re-trial in July of 2006, aided by Ron Safer of Schiff Hardin and the Northwestern Center on Wrongful Convictions. Bill Clutter is Board Certified Criminal Defense Investigator. A Board Certified Criminal Defense Investigator or C.C.D.I., is awarded to professional criminal defense investigators who have met the minimum training and experience requirements required to perform effectively within the discipline of criminal defense investigation as an expert. ABA Guidelines in Death Penalty Cases: requires "high quality investigation"
The Investigator: "The assistance of an investigator who has received specialized training is indispensable to discovering and developing the facts that must be unearthed at trial or in post-conviction proceedings. Although some investigative tasks, such as assessing the credibility of key trial witnesses, appropriately lie within the domain of counsel, the prevailing national standard of practice forbids counsel from shouldering primary responsibility for the investigation. 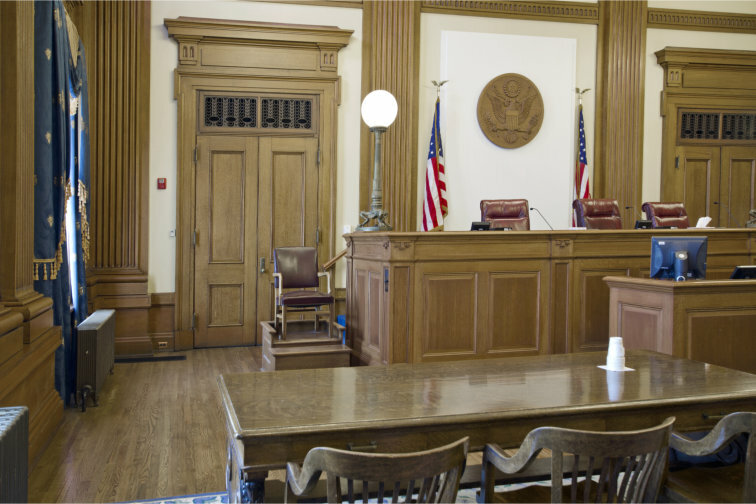 Counsel lacks the special expertise required to accomplish the high quality investigation to which a capital defendant is entitled and simply has too many other duties to discharge in preparing the case. Moreover, the defense may need to call the person who conducted the interview as a trial witness. As a result, an investigator should be part of the defense team at every stage of a capital proceeding." The Capital Litigation Trust Fund in Illinois provides funding to appointed counsel to hire investigators with specialized training in capital cases. 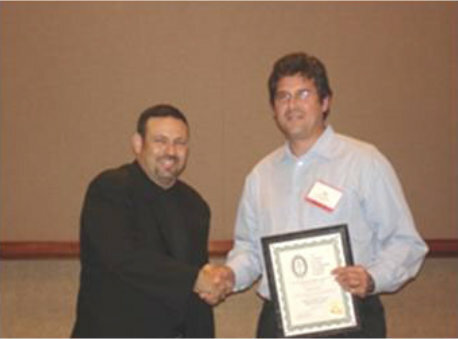 Brandon A. Perron, left, National Director of the Criminal Defense Investigation Training Council awards Bill Clutter his Board Certification during the World Investigator Conference in Las Vegas in September of 2005. Guideline 4.1 Investigation "(a) Counsel has a duty to conduct an independent investigation regardless of the accused’s admissions or statements to the lawyer of facts constituting guilt. The investigation should be conducted as promptly as possible." "Counsel has a duty to investigate a case before recommending that a guilty plea be taken or sought." "Counsel may not sit idly by thinking that investigation may be futile." The failure to investigate can lead to embarrassing post-conviction claims of ineffective assistance of counsel that you can avoid by having a specialized expert in criminal defense investigation appointed to your case. The Rural Defense Fund administered by the Office of the State Appellate Defender provides resources to Public Defenders and appointed counsel in Illinois specifically for the appointment of investigators. The Fund provides up to $3,500 per case. People v. Daniel Hines, Macoupin County case # 85-CF-89, first appointed capital case in 1985. Life sentence. People v. Alex Hernandez, DuPage County, 84-CF-__. People v. Gordon Randy Steidl, Edgar County case #87-CF-20. People v. Angela Barker, Sangamon County, Sept. 1997 acquittal. People v. James Trent, Peoria County case #96-CF-615. Sentenced to 94 years. Guilt-innocence and mitigation investigation. People v. Thomas Umphrey, Sangamon County case #98-CF-615. Death. People v. Bret Troutman, Cook County case # 98-CR-30991, sentenced to 40 years. People v. Andrew Urdiales, Livingston County case # 98-CF-19. Death. People v. Bobby Williams, St. Clair County case #96-CF-100. Life Sentence. People v. Dale Lash, Sangamon County case #99-CF-992. Death. 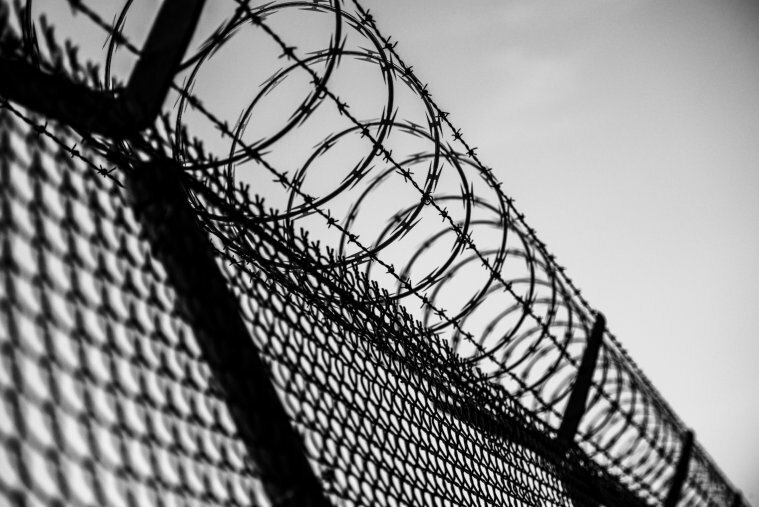 People v. Elmer Wood, Macoupin County case #98-CF-259. Guilt-innocence investigation. Sentenced 38 years pursuant to plea. People v. Robert Williams, St. Clair County case #99-CF-438. People v. Michael Slover Jr. Macon County case #00-CF-140. People v. Jarvis Nealy, Peoria County case #01-CF-901. People v. Phillip Skipwith, St. Clair County case #01-CF-1365. Mitigation investigation. 60-year sentence pursuant to plea. People v. Bruce Fearing, Randolph County, case #01-CF-161. People v. Dennis J. Scott, Sangamon County case #01-CF-992. Guilt-innocence investigation, plea 40 years. People v. Jason Cook, Perry County case #02-CF-90. People v. Eric Smeader, Edgar County case #04-CF-26. Guilt-innocence investigation, plea 45 years. People v. Larry Bright, Peoria County case #05-CF-83. Guilt-innocence investigation, plea life sentence.